What does a set contain? Here you can find all product information. 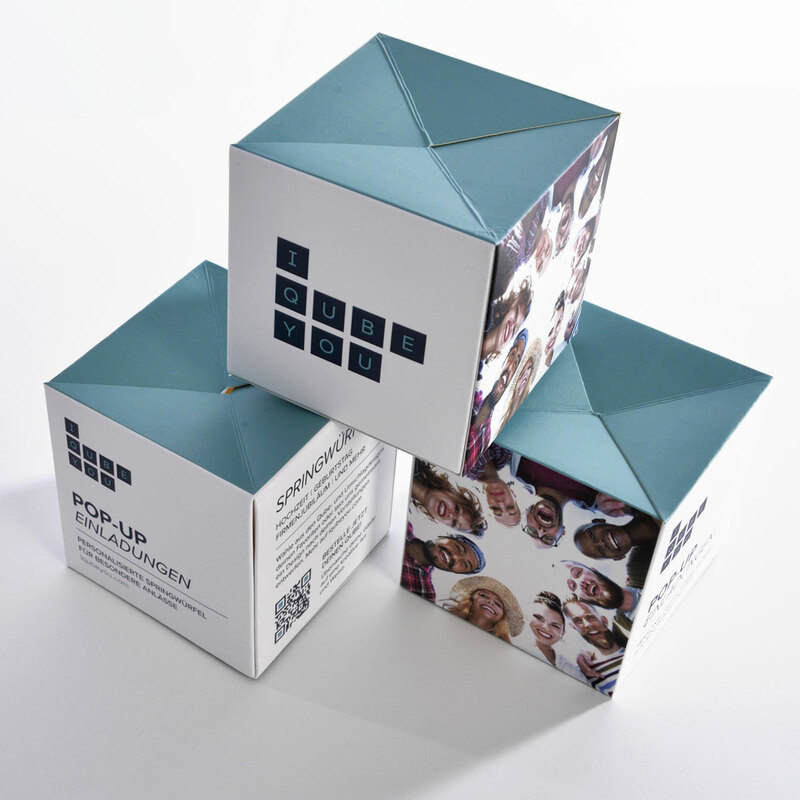 An I Qube You set consists of a pop-up cube with a design of your choice, a matching envelope, and a sticker. 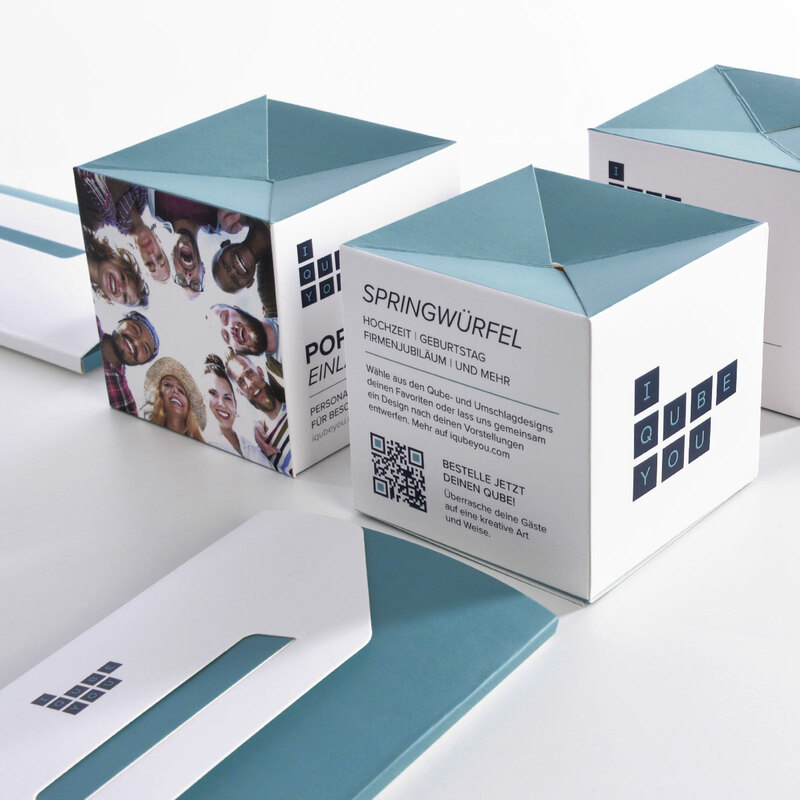 Both our pop-up cubes and the envelopes are made of high quality matt paper with UV foil. Wondering how much I Qube You Set costs? Find out more about our prices here. Our pop-up cubes measure 9x9x9 cm. 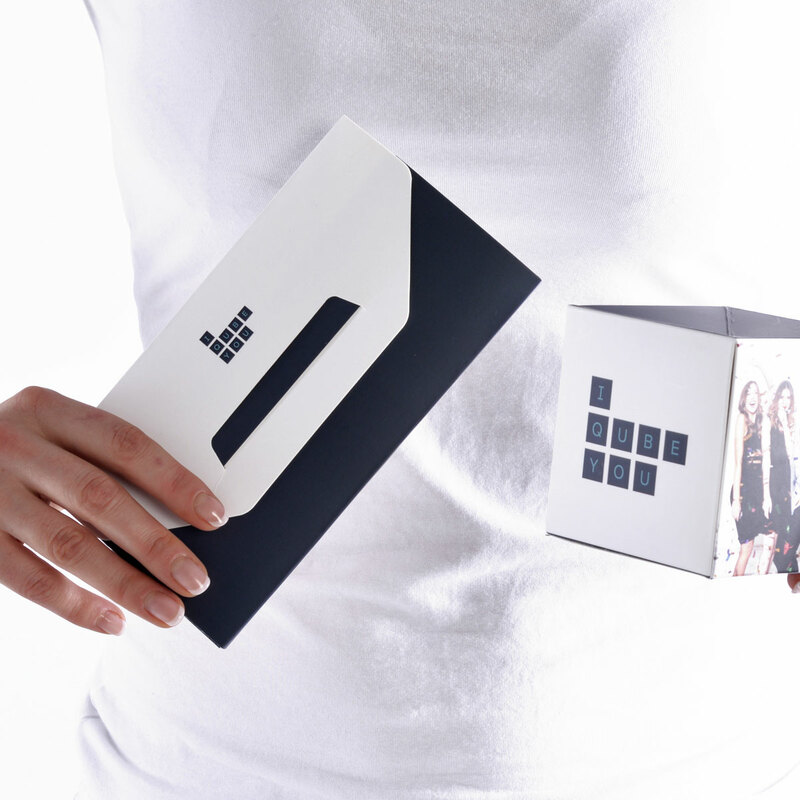 These cube-shaped invitations fit into an envelope. How does that work? All six sides are fastened with a rubber band that, once the envelope has been opened, snaps the hand-folded cube into shape and makes it jump out of the envelope. 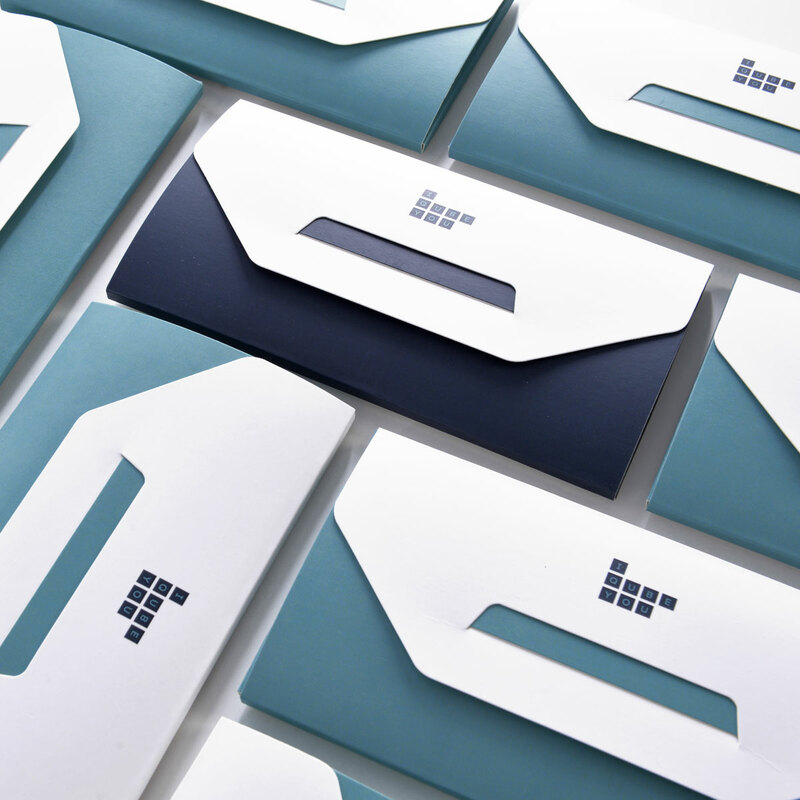 Each Qube comes with an envelope that is closed with a round sticker. You can address these Qubes by hand or choose a personalisation option from us and upload your guest list. The I Qube You envelopes measure 19.5 x 10.5 cm. 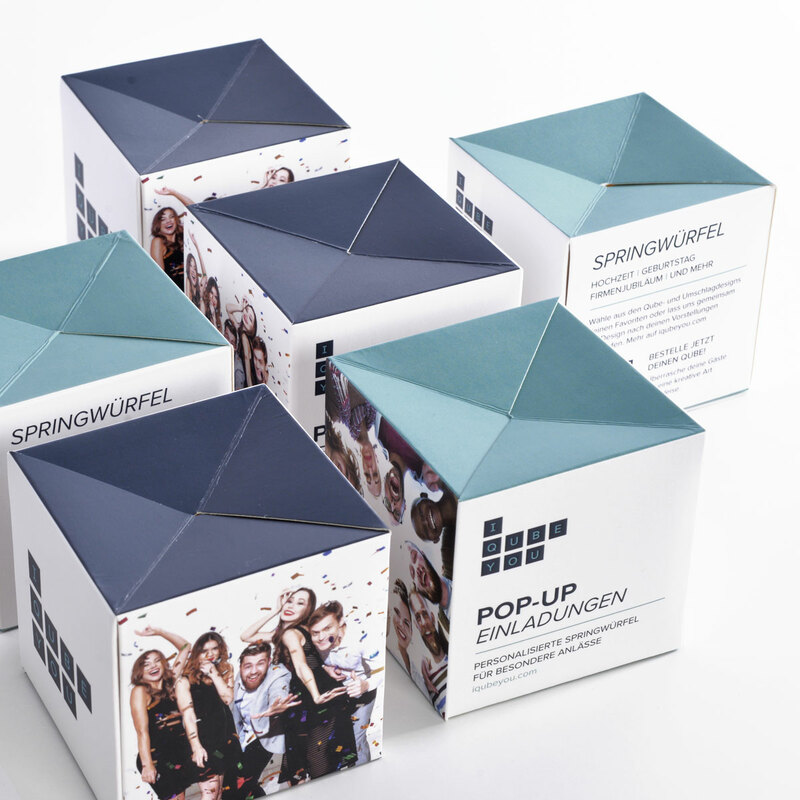 We offer you a large selection of free design templates for your own pop-up cube. Simply choose your business, birthday or wedding free design template and send us your request using the contact form. Alternatively, feel free to use a custom design form and inform us about your design ideas. Once you’ve placed your order, the design has been confirmed and payment received, the pop-up cubes will be produced. Depending on the quantity ordered, production and shipping can take up to 20 working days. 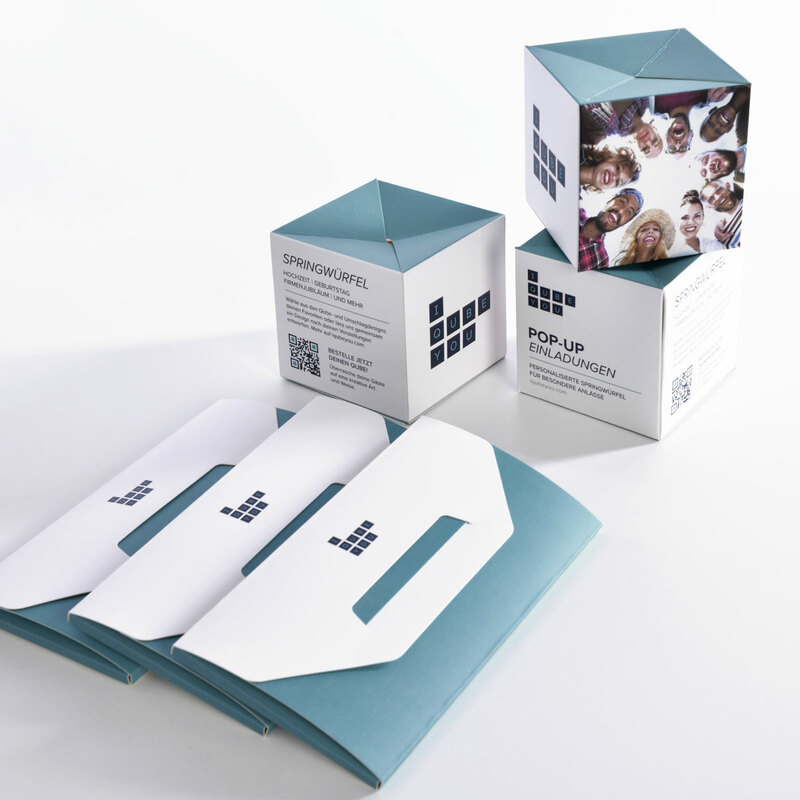 We’ll be happy to include small flyers, business cards or confetti with your I Qube You set. These add-ons are not part of an I Qube You set. Please let us know about your ideas and we’ll see how we can help you to realise them.